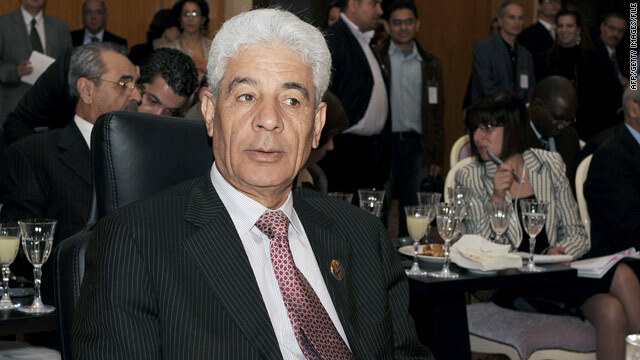 Libyan Foreign Minister Moussa Koussa arrived in London Wednesday and told the government there that he has resigned, the United Kingdom Foreign Office said. I wonder how much the U.S paid him to defect? Obama loves spending our money on other countries. But cuts spending in his own country. if you can't stand the heat, get out of the kitchen.. and when the kitchen is on fire well.. it's not really quitting, is it? It is if you don't stay and fry like the rest of the greaseballs. Ah, so does this mean he is now going to try to become part of the new government and continue to do whatever it was he has been doing for however long he's been doing it? How do we know Libya is going to be better off? All we really know is that France really wants to force him out. France doesn't have a history of doing stuff because it's the right thing to do. They opposed just about everything we've done in the last however many years. So I have to wonder what's in it for them? They used to have colonies all over North Africa. Is this an effort on their part to regain some lost land? Are we helping the Libyan people or helping France? If this is really about helping oppressed people then there are much worse places. Maybe since we're starting with major oil cities, maybe it's still about oil? Maybe Obama is just another Bush with a different shade of verbage? Why do we seem to only care what happens and who rules over countries will oil? I guess you do get better deals on oil if you kill the people that don't give them to you? "Gaddafi was the youngest child from a poor family Badawi (Bedouin) the nomadic desert areas in the Sirte. His mother was a Jew who were converting to Islam since the age of 9 years. This technically makes Gaddafi was Jewish according to Judaism." haha that's great. That's not going to help him when the people of his country gets ahold of him. Hey Col. Daffy I will gladly fill the recent vancancy I need the job. This is great theater first you get ordinary working class people suppressed for decades by a cruel dictator. Then you dangle DEMOCRACY in front of them in their hour of need. Then you play a game with them and pretend your going to help but just want to see how the tragedy comes out. The coillition needs to either put boots on the ground and really help , instead of just beating back the Gadaffi forces a bit the letting them do as they please again. The U.S., Canada, England don't want to put troops on the ground for fear they'll upset the Arabs. Wake UP!!! They'll never appreciate you and when the oil runs out and they have nothing they'll say your after their sand for the silicon. Send Moussa Koussa to the Haig. is he resign because hes afraid to get killed? Cia can sit or even live under the bed of kadhafi all they want. There's no indication they have any real chance to oust and change any regime under the likes of gbagbo and kadhafi because they have a lot national supports, which makes any operation very hard for an outside intruder. The cia needs me for gbagbo to get the seaport in San Pedro becuz i master the area. Lol. But, i won't in anyway unless certain conditions are address in my favor. Ouattara can also wait until nothing changes the realities he's been dealing with – gbagbo stays president. Enough with the cia crap and find real contacts who knows the inward of strategic areas to help overcome the problems that makes the international community task and missions unrealistic! What I want to know is just how did the U.S. government pay this rat to jump ship! I imagine that it's pretty considerable. It's funny just how much we have to spend on all these stupid wars overseas and yet can't do anything about our huge deficit! Greg, that is the million dollar question.